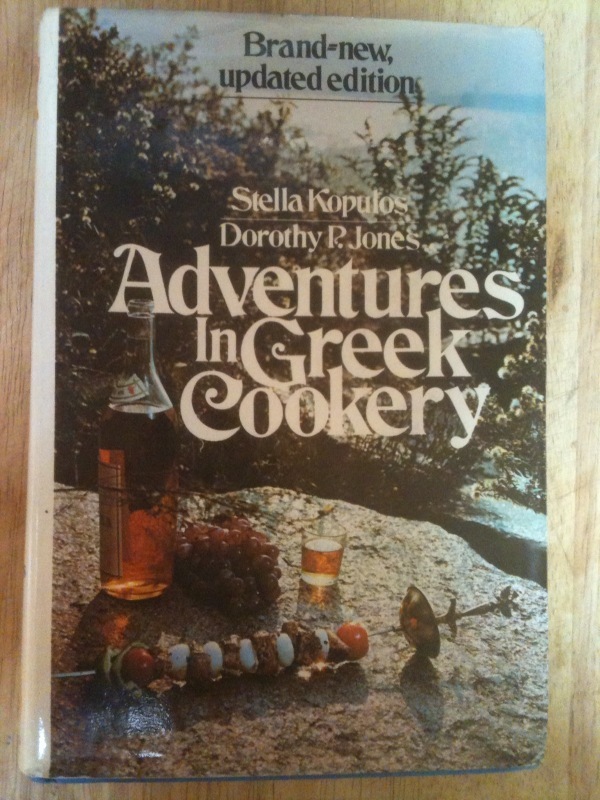 Stella Kopulos and Dorothy P. Jones, World Publishing, revised 1972 edition of the 1966 publication. Inscribed by Kopulos on the front end page. Hardback with DJ, color photo cover, white spine, 337 pages (50 pages longer than the original edition!). Touted as one of the first Greek cooking books offered to an American audience. Kopulos, Greek-born, became a U.S. citizen and was active in Greek church charity operations in Washington, D.C. She traveled to Greece to learn recipes first hand and codify them. She also apparently cooked for D.C. church Greek festivals and celebrations. 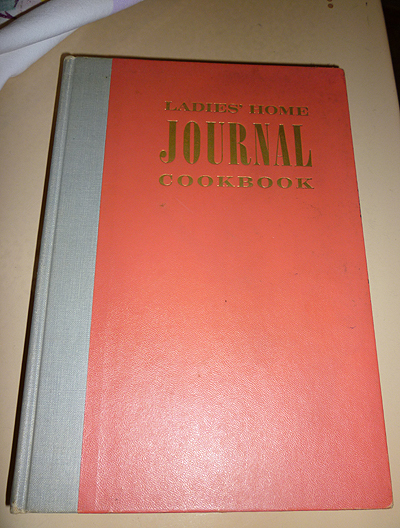 The book offers well-laid-out recipes for hors d'Oeruvres like Meekra Keftedakia (small Meat Balls), soups like Fasoulada (Bean Soup), salads such as Domates Yemistes Me Garides Salata (Tomato Stuffed with Shrimp salad) to Kalamaria Yemista (Stuffed Squid), Yemisto Pitsouni (Baked Stuffed Squab), Christosomo (Christmas Bread) and Vissino Marenga (Sour Cherry Meringue). Sadly out of print. Slight wear to DJ extremities, still VG+/VG+.